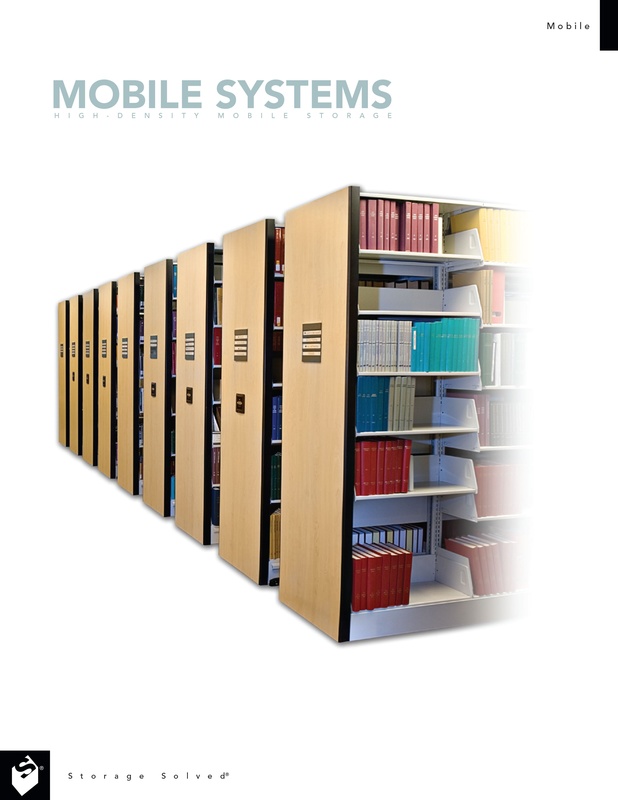 Mobile Shelving Systems | Donnegan Systems Inc. Grateful clients have referred to our space-saving consultants as miracle workers. While we agree that our consultants are pretty amazing, we think a lot of the credit goes to Spacesaver’s innovative mobile shelving systems. If you’ve never seen these shelves in action, you’re in for a surprise. Conventional, non-moving shelves create aisles that waste space. High-density mobile shelving systems eliminate wasted space, freeing up room for other uses. 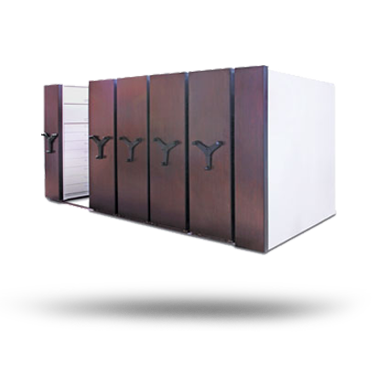 High-density mobile shelving allows you to double storage capacity. Traditional storage units—bookshelves, filing cabinets, storage cabinets, and even warehouse racks—waste a tremendous amount of space in the aisles. 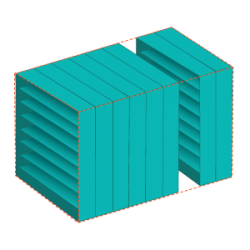 By eliminating fixed aisles, high-density mobile shelving systems allow you to store the same amount in half of the space. The shelves move—and the aisles move—to allow easy access. Instead of wasting space between each shelf, mobile shelving systems allow you to condense the shelves. 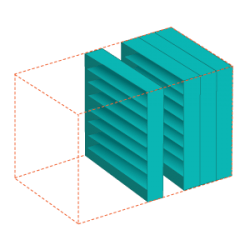 Before considering an expensive addition to your existing building, you might want to consider the possibilities offered by a mobile shelving system. Spacesaver products are engineered and manufactured in the USA, and we offer a variety of sizes and finish options for custom function and appearance. We help clients understand the range of possibilities available for storage in offices, libraries, museums, warehouses, and even in public safety and military facilities. We can help you see the potential in your space. 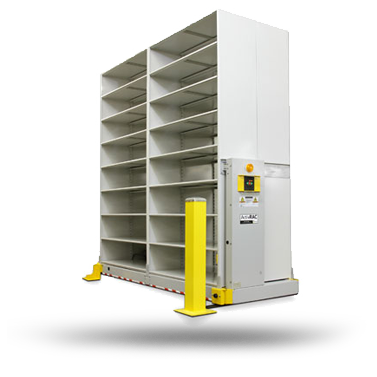 Manual mobile shelving systems are a cost-effective alternative to mechanical assist controls. Pulling the handle moves the shelving units from side to side. This option is ideal for smaller systems with lighter loads. These mobile shelving units are moved by the simple rotation of an ergonomically designed, soft-touch, three-spoke handle. The handle allows users to move 4,000 to 10,000 pounds with only one pound of effort. Striving for optimum ease of use, security and safety, Spacesaver offers Touch Technology Control™, our own LCD touchscreen technology, for several of our high-density mobile storage systems. With an interactive and dynamic screen with an intuitive menu and tutorials, the visual features of Touch Technology Control makes it easier than ever to store and access the items you need in a safe, secure way. 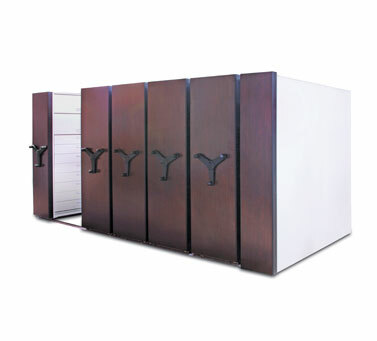 This one-of-a-kind modular moving shelving system allows for easy reconfiguration and relocation. 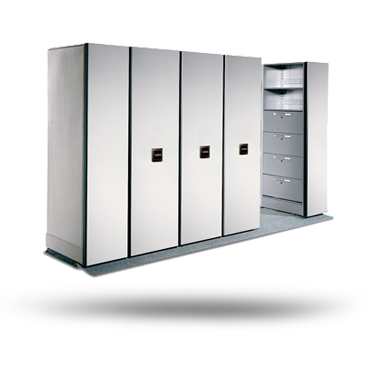 If your budget is tight, you can purchase our stationary 4-post and case-type shelving now and invest in mobile components at a later date. 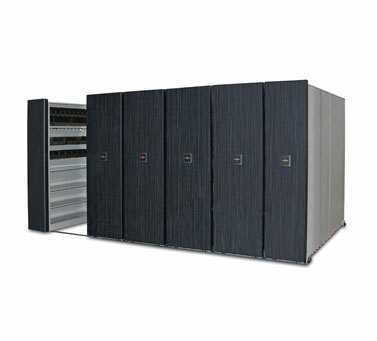 A powered system provides safety, security, ease of use, and productivity. It operates under the standard push-button control, but can also have the option of infrared capable control, a secure touchpad aisle access control, or the Touch Technology Control. The ActivRAC industrial racking system eliminates empty aisles by mounting existing pallet racks or shelving on mobile carriages. The carriages move on rails that are anchored to the floor. 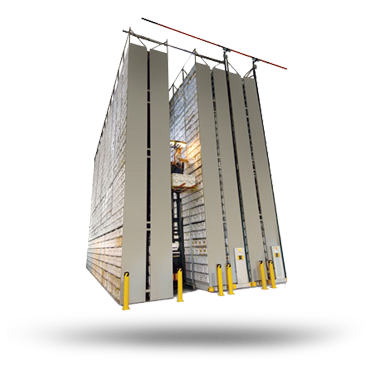 ActivRAC carriages have a load capacity ranging from 7,000 to 30,000 pounds, making it a cost-effective solution for increasing warehouse capacity. X-Tend high bay shelving systems provide off-site shelving for boxes, books, evidence, and other materials. 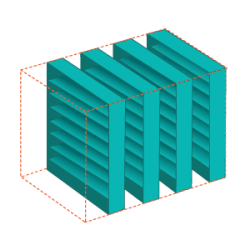 Storage capacity can be maximized, allowing for an off-site storage building that has a smaller footprint, which in turn provides optimal efficiency, safety, and accessibility. See how mobile shelving systems can improve efficiency and space constraints by viewing our various options. 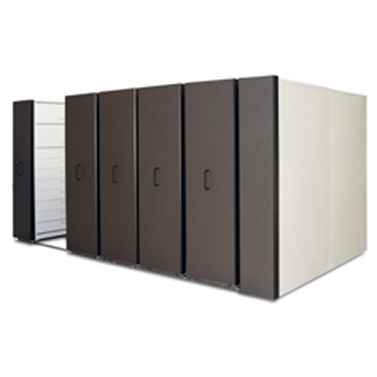 Donnegan Systems is the only Spacesaver-authorized dealer in New England. Let us show you how to look at space a whole new way.